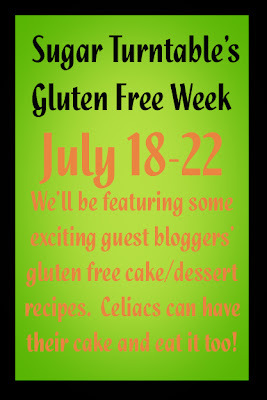 Next week, July 18-22, will be Gluten Free Week at The Sugar Turntable. This is a cake decorating blog that features recipes, project ideas, and video tutorials. Kathryn owed a wedding cake business for four years, and her cake portfolio is very impressive. But what I think is really awesome are the videos. Of particular interest may be the ones on how to crumb coat a cake and cover it fondant. 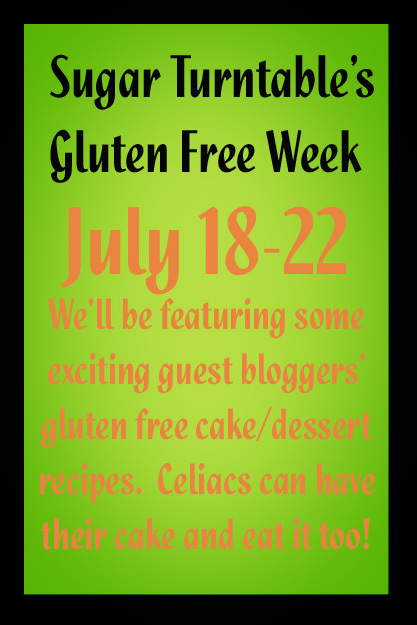 There's also already a recipe up for gluten-free chocolate cake that I'm going to try at some point, so watch for that post. 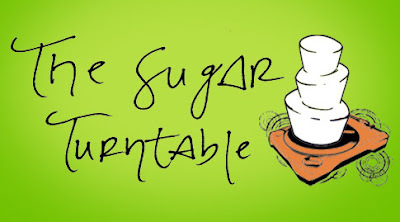 In the meantime, plan to stop by thesugarturntable.com next week and see what all she has to share.